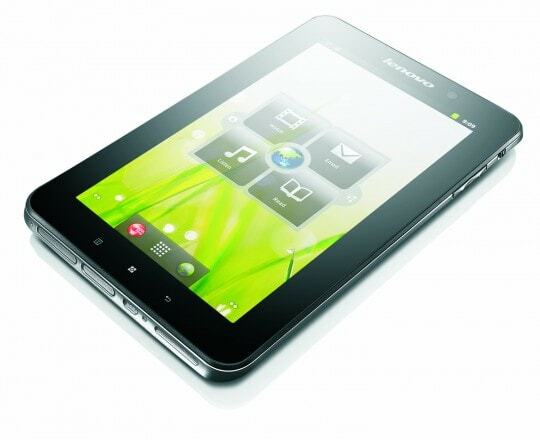 Lenovo are getting into the budget tablet niche. they just confirmed the the IdeaPad A1. This is a 7?tablet running Android v2.3. It will feature a Cortex-A8 1GHz CPU, a pair of camers (3MPand VGA). The 7? LED display will have a screen resolution much higher than you average budget tablet - 1024 x 600 (similar to the Galaxy Tab 7). Along with the usual Bluetooth, Wifi, microSD card slot, and speakers, it will also have offline GPS. It should be on store shelves in September with the 8GB model starting at $199. There's also going to be 16GB and 32GB models for $249 and $299. but pricing has yet to be confirmed. Update: Charbax is at IFA and he shot a hands-on video. It's after the break. Looks nice, but I’ve seen different pricing… $199 for the 8GB, $249 for the 16GB and $299 for the 32GB. Looks like we’re finally getting some decent 7″ choice! Ah, there’s an 8GB model. That’s why I kept seeing different prices. Thanks!